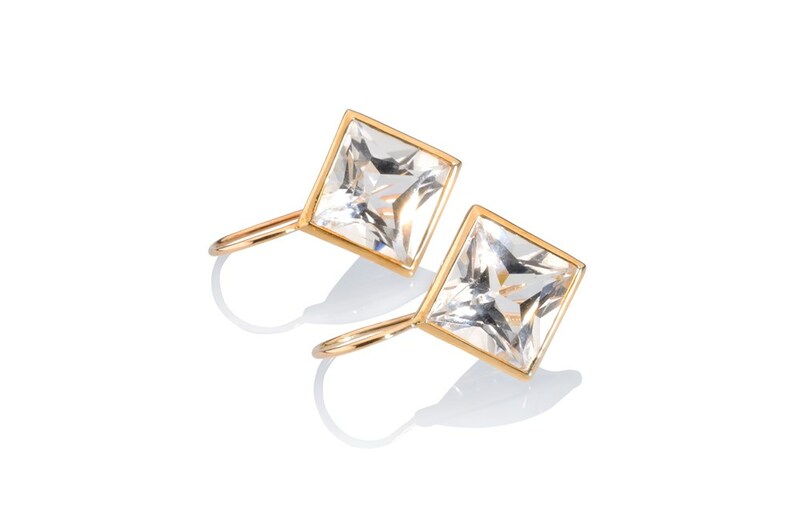 Make a statement with these beautiful earrings: minimalist design with large sparkly stones. 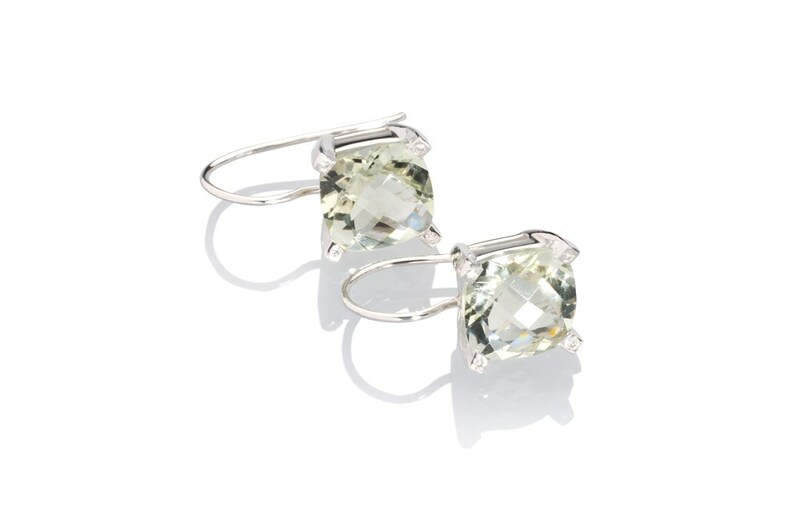 You can choose between earrings with diagonal set princess cut topaz or emerald cut topaz. 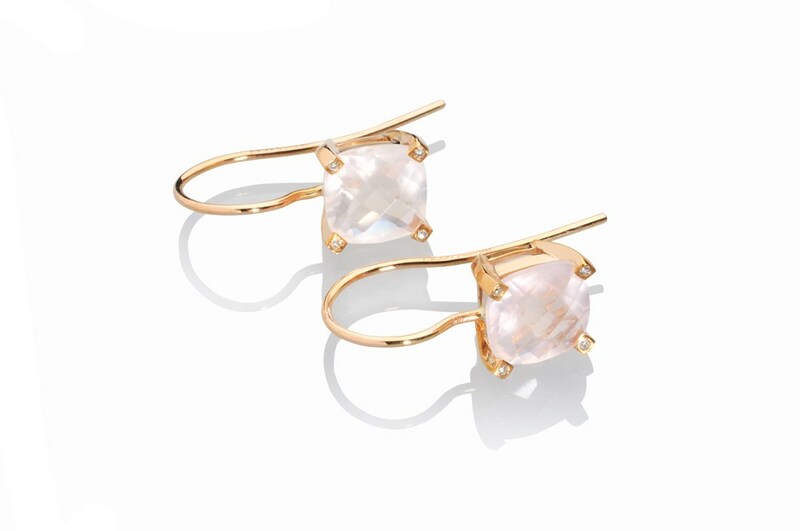 Both are frame-set in gold allowing light to enter the stones from all sides – which gives the stones some extra sparkle. The earrings are handmade of 9ct yellow gold, are hallmarked by the London Assay Office and carry the maker’s mark ‘MMzS’. 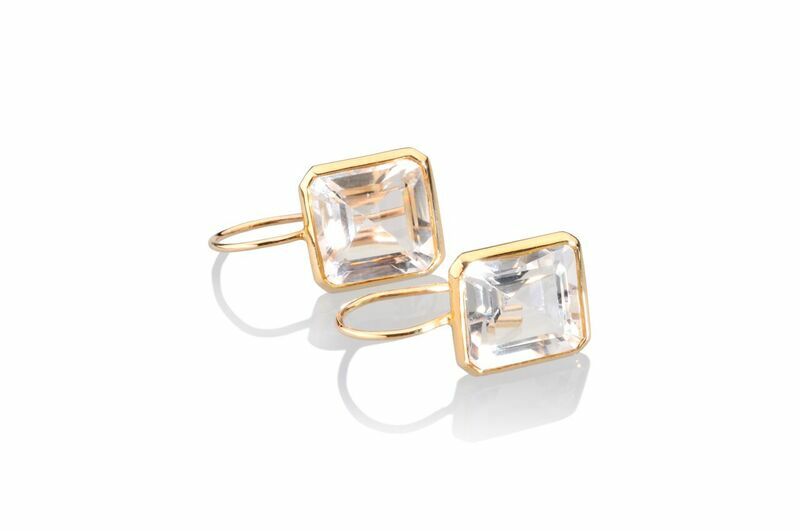 Please note that these earrings are made to order Free delivery on any orders in the UK. Standard UK delivery time is 6-8 weeks.